0.86lbs, 7.68" x 4.61" x 0.52"
At $230, the 8GB A110 is $30 higher than the Nexus 7 with equal storage, which will be its primary competitor. However, there's a tradeoff: you'll also get an option to expand the storage thanks to the microSD card slot, as well as HDMI out - both of which are lacking on the Nexus 7. 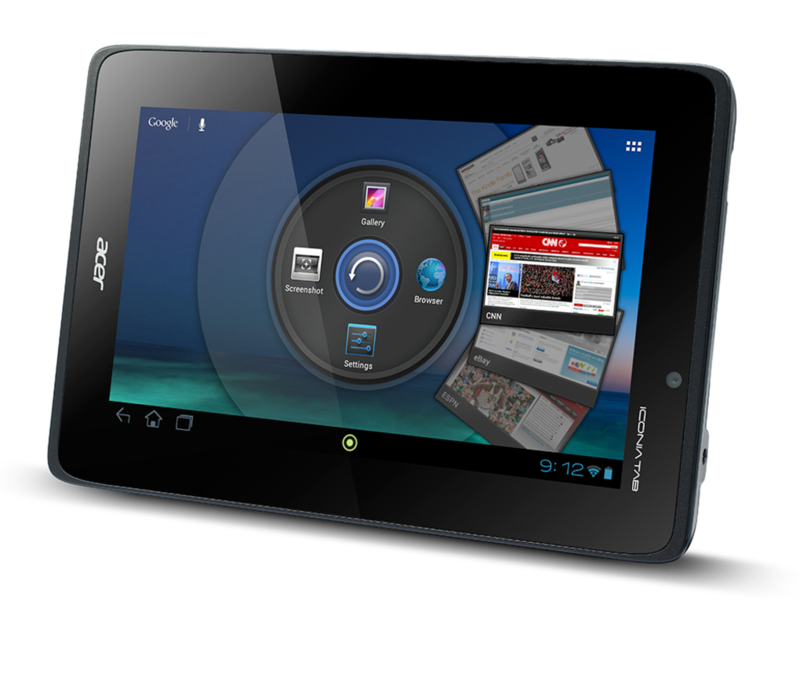 With that said, the A110's paltry 1024x600 display can't begin to compare to the N7's 1280x800 screen. That tradeoff may be worthwhile for anyone who has been waiting for another 7" Jelly Bean tablet with a microSD card slot. Of course, the "rumored" 32GB Nexus 7 will make it even more difficult for Acer to compete - with that much storage, many users will no longer "need" a microSD card slot. And while Acer is known for pushing out timely updates, even the quickest manufacturers can't keep up with the Nexus' series OTA schedule. Lastly, there's the question of press images here: some show the traditional tablet interface, while others have the hybrid interface of the Nexus 7. 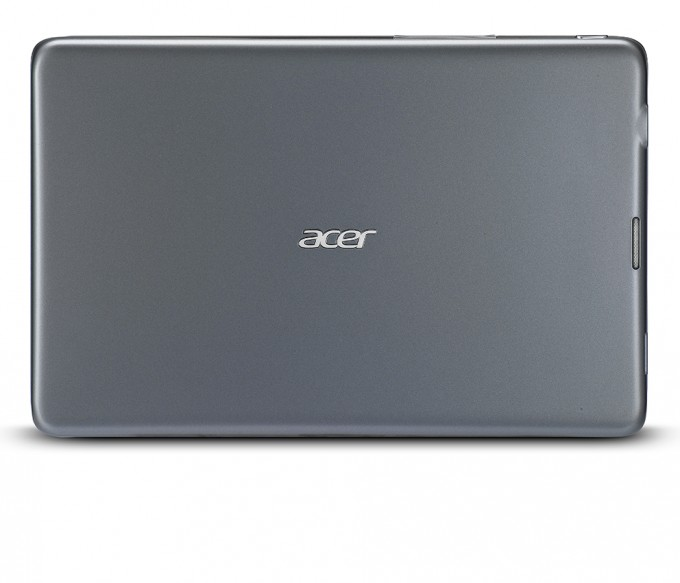 Personally, I find the latter to be absolutely perfect for the 7" form factor, but it would be pretty amazing if Acer incorporated a way to switch between the two on the fly. The best of both worlds! We should get to spend some time with the A110 shortly after release, so look for a full review and comparison to both its predecessor (the A100) and the Nexus 7 sometime in early November. Acer America today expanded its Iconia™ Tab lineup with the A110, a lightweight, pocket-sized 7-inch multi-touch tablet. Available Oct. 30 in the United States and Canada, the compact and stylish Iconia Tab A110 is perfect to tote around at all times to read, browse, play games and enjoy media. "Today's consumers are increasingly mobile and want easy and instant access to entertainment at all times," said Paul Tayar, senior director of product marketing for connected devices, Acer America. 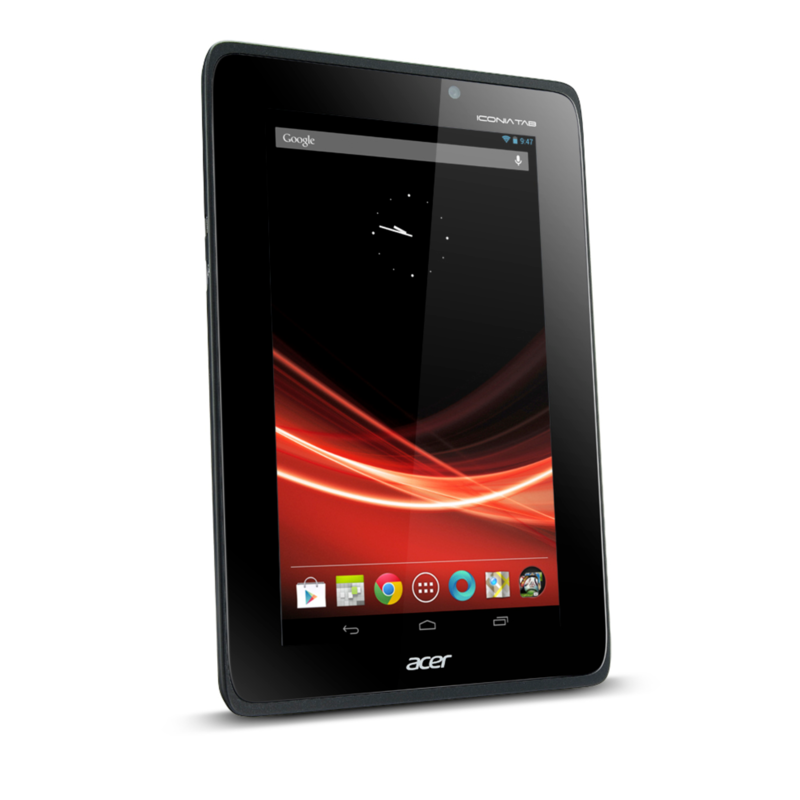 "The Iconia Tab A110 is another example of how Acer is meeting the needs of consumers, by providing tablet form factors that combine portability and performance for fun and gaming, at affordable prices." 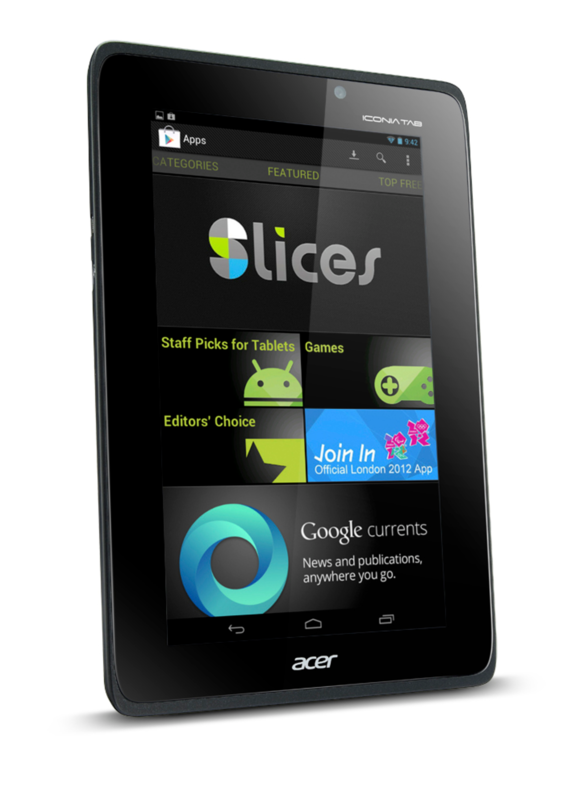 More comfortable to browse on than a smartphone, the trim A110 tablet is just 0.86 pound and less than a half-inch slim. Easy to hold in one hand for hours of comfortable enjoyment and slender enough to fit in a pocket or handbag, the tablet delivers bright and crisp images for movies, photos, books and games. Featuring a vibrant capacitive multi-touch display with 1024x600 resolution, the A110 ensures optimal screen viewing from every angle -- up and down and left to right. 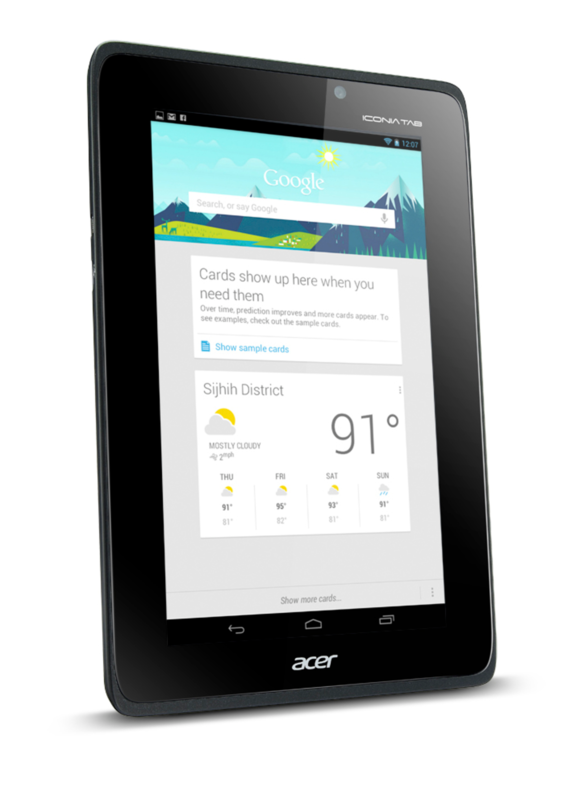 Powered by the latest Android™ 4.1 "Jelly Bean" operating system, the A110 tablet provides faster and smoother performance for applications and widgets. Users can customize and expand their tablet experience with ease using the Android™ Market to choose from hundreds of thousands of apps to enjoy the A110 any way they want. Also preloaded on the A110, Google Play provides users with an entertainment hub and allows one place to find, enjoy and share apps, music, movies and books from across the web. 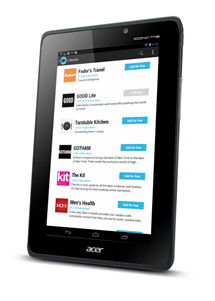 Google Currents provides free online magazines from hundreds of publishers and online. The A110 comes equipped with the NVIDIA® Tegra™ 3 quad-core processor, delivering industry-leading performance and responsiveness for running multiple apps, smooth HD video, fast web browsing and console-like gaming. 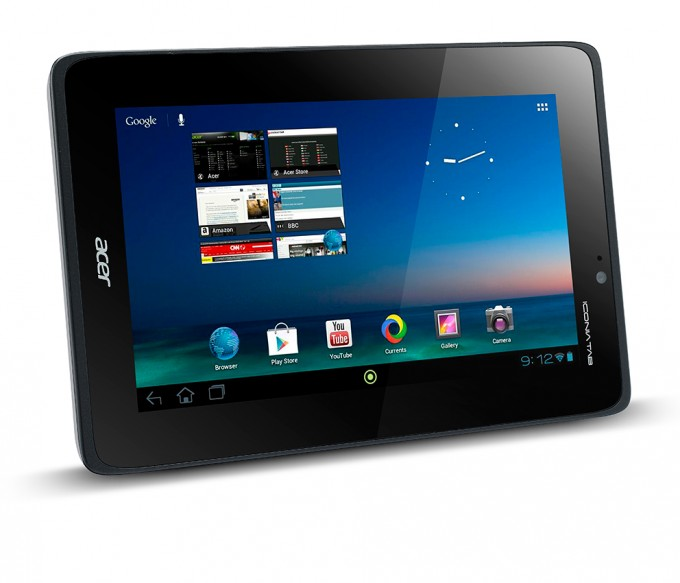 The tablet's NVIDIA Tegra 3 processor features a unique Super 4-PLUS-1™ Quad Core CPU design with a fifth Battery Saver Core, which handles less demanding activities, ultimately using less power and improving battery life. The A110 supports long battery life with smart power management providing up to 7.5 hours of battery life1. Offering superior expansion and connectivity, the Iconia Tab A110 has a micro-USB 2.0 port for hooking up other devices, and a MicroSD slot providing additional storage up to 32GB and easy file transfers. For showcasing entertainment in a larger format, users can easily connect to an external LCD or HDTV via the A110's MicroHDMI output, with dual display support. For added enjoyment, a two megapixel front-facing web camera enables face-to-face chats or quick snaps for still photos. Bluetooth® 3.0 technology allows users to wirelessly connect to other devices such as Bluetooth printers, keyboards, headsets or speakers. 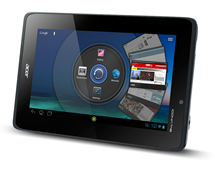 The A110 also includes 1GB of memory and 8GB internal storage2. 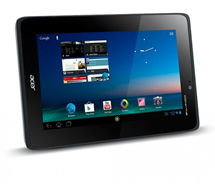 The Acer Iconia Tab A110 will be for sale on October 30 at leading U.S. and Canadian retailers with pricing beginning at $229.99 USD and CAD.